The fifth edition of Gulfood Manufacturing will highlight a host of international breakthrough technologies set to reshape the region’s food processing and supply industry as it races to meet seismic changes in consumer demand and drive 4th industrial revolution efficiency to heighten competitiveness. The new technology drivers – from micro-conveyor systems for small producers, sensor-based sorting machines and integrated analytical post-harvest systems, to production optimised software and digital automisation solutions – will be on show at the Middle East’s biggest food and beverage processing industry event, which runs at Dubai World Trade Centre (DWTC) from November 6-8. With game-changing technologies coming from all over the world, including George P. Alexandris, a Greek conveyor belt manufacturer making its regional debut and Tomra, Norway’s sensor technology pioneer, to Japanese heavyweight, Ishida, and Germany’s global solutions provider, Siemens, Gulfood Manufacturing has evolved into an industry-specific, world-renowned innovation centre. “The 2018 show, more so than any in the past, is putting the future in focus – we are going to see Gulfood Manufacturing come of age this year,” said Trixie LohMirmand, Senior Vice President, Exhibitions & Events Management, DWTC, which organises the event. When Gulfood Manufacturing’s doors open, 35,000-plus visitors will engage with a laboratory of the future exposed by some 1,600 exhibitors from 60 countries, including Scandinavian innovator Tomra, which believes technology holds the key to many of the challenges now facing the food production sector. Tomra will stage a live demonstration of its new sensor-driven TOMRA 5B sorter for vegetable and potato processing industries at the show. The sorter combines smart technology with a 360-degree, surround view inspection system that reduces final product waste three times faster than previous systems. “This technological advancement not only improves the quantity of food available, but it also maintains the high levels of quality expected by consumers who are increasingly interested in what they are purchasing and in brand protection,” says Tomra’s Global Marketing Manager – Food, Bjorn Weyts. Being a conveyor specialist, the Greek firm George P. Alexandris SA maintain that technological advancements are not the domain purely of the industry’s big players. Making its Gulfood Manufacturing debut, George P. Alexandris SA will leverage the show for a regional launch of a micro conveyor system which reduces production costs and increases the competitiveness of local food manufacturers. “We will be actively looking for local partners,” affirmed George Alexandris, owner of the company. Gulf Manufacturing’s focus is being sharpened by the inclusion of a two-day ‘Food Tech Summit’, running November 7 and 8. The conference will unveil the Factory of the Future by exploring how next-gen technologies, including artificial intelligence, digitalisation, the Industrial Internet of Things, automation, robotics and blockchain can transform food and beverage manufacturing. The programme will also explore future food security and how the industry can innovate and create alternative food supply and resources. Innovation demos will ensure that visitors, including some of the 2,000 C-level executives being hosted on the show’s Big Buyers programme, get deep insights into the technology on offer. The tours will take in the show’s five dedicated sectors: Ingredients, Processing, Packaging, Automation & Controls, and Supply Chain Solutions. 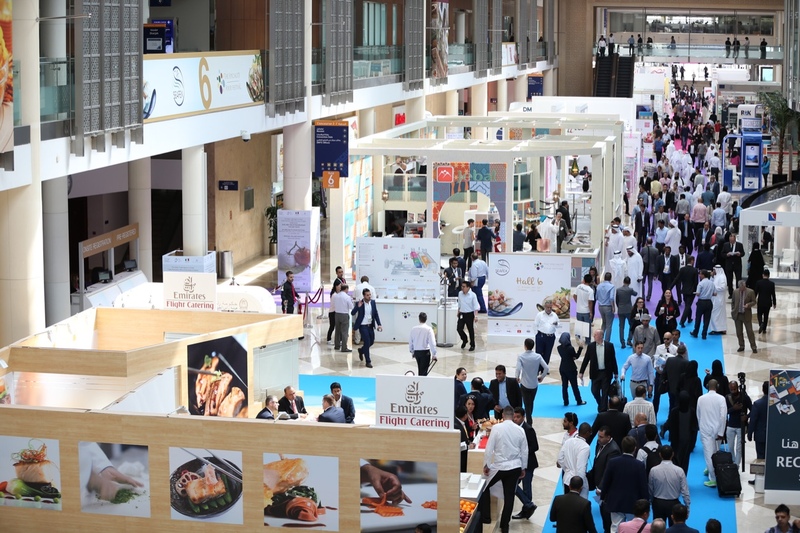 Meanwhile, DWTC is looking to further push the innovation agenda with its future-themed Gulfood Manufacturing Industry Excellence Awards, which are open to show exhibitors. Ten awards will be presented following assessments by a panel of independent judges. The awards will recognise innovation across the entire industry eco-system from ingredients, to technology, waste prevention to customer service, packaging and marketing.